Thanks to its many events and services ISPO is considered the leading international sports business network. Every year, more than 2,000 international exhibitors present their latest products from the segments of Outdoor, Ski, Action und Performance Sports at ISPO MUNICH to over 80,000 visitors from more than 100 countries. For over 40 years the global leader has provided a comprehensive overview of the entire range of sporting goods, athletic footwear and fashions, as well as the latest trends from these segments. Year for year the custom-tailored trade show concept with special communities and authentic side events guarantees a very unique, personalized and communication-rich atmosphere. 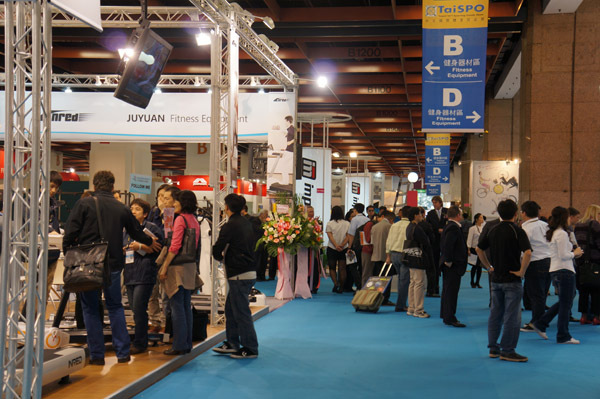 As the only multi-segment trade show the event also offers its participants an opportunity to discover discipline-overlapping synergy and cross-selling potential, as well as recognize new segments and trends in advance. Thanks to close cooperation with the industry ISPO can identify market requirements and offers international sports business professionals the best possible presentation and networking platform at ISPO MUNICH. In order to sustain its internationally leading position throughout the future the organizers continuously work on further improving ISPO MUNICH. Among the tasks is the endorsement of the new generation, as well as drawing the media’s and the public’s attention to industry-related topics. To reach this goal, ISPO will focus even more strongly on networking and partnerships. The Board of Directors for Snow Sports Industries America (SIA) has announced a shift in SIA Snow Show dates to an earlier mid-January time slot beginning in 2013. The Snow Show will begin on Saturday, January 12th and run through Tuesday, January 15th at the Colorado Convention Center in Denver, Colorado. The On-Snow Demo will follow the Show at Winter Park Resort and Devil’s Thumb Ranch on January 16th and 17th. In 2014, the SIA Snow Show will follow the same mid-January pattern and begin on Saturday January 11th through Tuesday, January 14th followed by the On-Snow Demo on January 15th and 16th. This mid-January/Saturday start will be used for all future Snow Show dates. SIA will be working closely with buying groups, regional rep associations and retailer associations to make this transition as smooth as possible. The Board’s decision came after analysis of the industry’s current buy/sell cycle, changing production lead times, as well as date conflicts with major holidays and trade events including an overlap with ISPO beginning in 2012. Given all of the factors and constituencies SIA’s Board had to consider, the goal was to provide Show dates that would benefit the majority of the industry. ”In 2002, the SIA Snow Show was moved from March to January with the goal of creating a national show to kick off the buy/sell cycle where retailers could truly ‘See it, Try it, Buy It’. With the increase in private line previews, regional and national trade shows, the Board of Directors felt the Show needed to adjust to changes in the marketplace,” commented David Ingemie, SIA’s president. The SIA Snow Show, January 31- February 3, 2013 at the Colorado Convention Center in Denver, CO, will deliver the largest, most concentrated and authentic trade event in the snow sports industry. It will be the first time globally that the styles, technologies, innovations, culture and energy of snow sports for 13.14 will be presented. Industry professionals will meet to engage in business, networking opportunities, parties, brand events and seminars to feel the true essence of snow sports. Get more show information, click “here“.